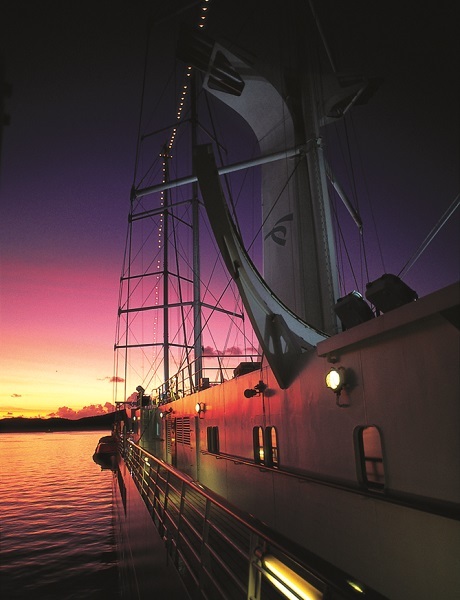 You are here: Home >Special > Windstar Cruises Tahiti Cruises - 7 Days From $1699 US! Tahiti Cruising. Private Yacht Style. This is Tahiti as it was meant to be seen, under tall sails and kissed by gentle breezes. A yacht goes gracefully into places that can only be seen from a small ship, allowing guests to soak up the distinct personalities of the islands. There's no better way to access this island nation than directly from its sapphire blue waters. Windstar Cruises will let the trade winds fill the Wind Spirit's sails as they visit legendary islands in Tahiti, staying overnight in most to give you time to swim and snorkel in the crystal-clear lagoons, meander through the lush rainforests, and experience the fascinating Polynesian culture from tikis to tiare flowers. When you're not searching for secluded waterfalls or snorkeling vibrant reefs, you can watch the passing scenery from your favourite spot on deck. Or visit the bridge and visit with the captain as he plots our course to the next sparkling jewel on your itinerary. Live your Polynesian dream as you sail through azure waters to island and atolls that define the word PARADISE. Dollars OFF & Shipboard Spending Money on Select Departures!